Wingspan 6 to 8 mm. 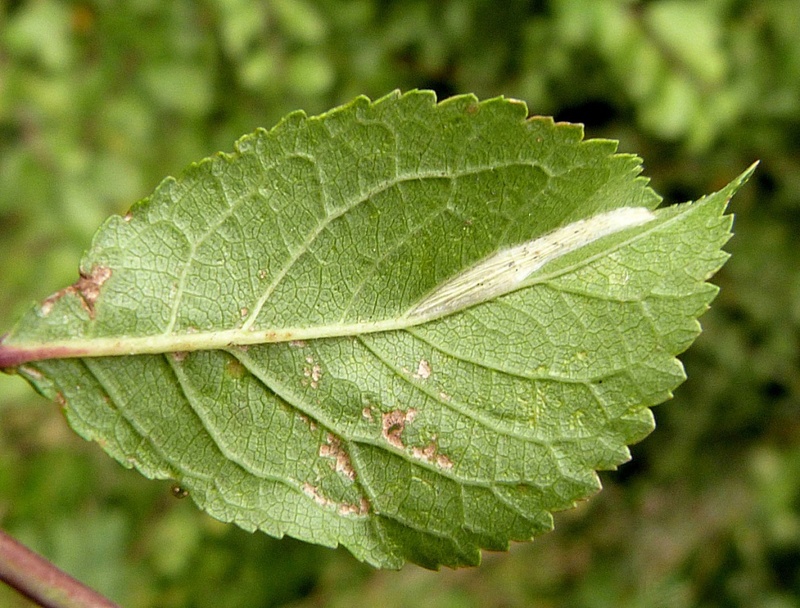 The adult moths are very similar in appearance to P. cerasicolella and the two species are best separated on the basis of foodplant, or by genitalia dissection. Areas where the larval foodplants occur. The moths fly in two generations, in May and August. The larvae feed on Blackthorn (Prunus spinosa) or sometimes Wild Plum (Prunus domestica). 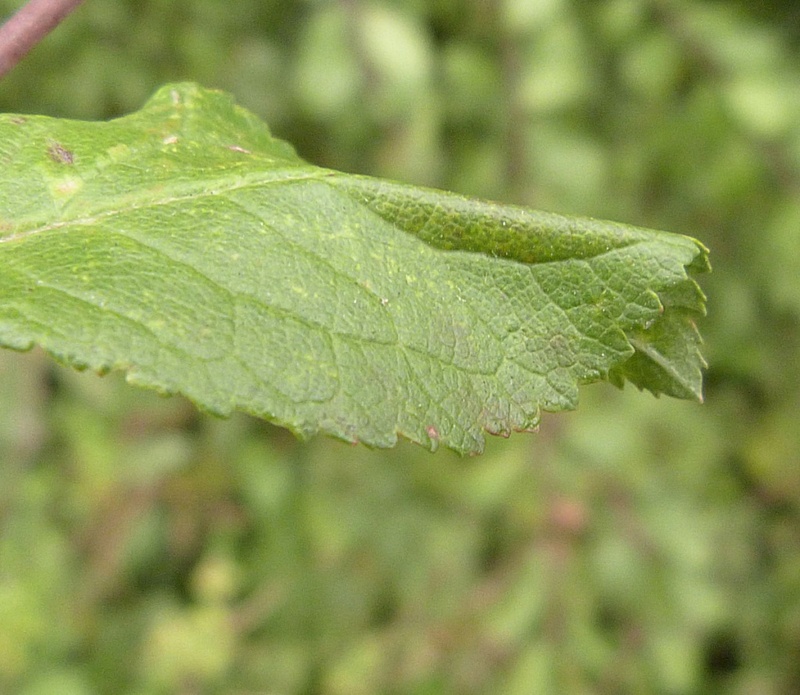 On Blackthorn the mines are narrow and cause the leaf to pucker strongly, often folding right over, and being whitish can resemble those of the blackthorn-feeding Parornix species. A common and widespread species throughout most of the British Isles. In the Butterfly Conservation's Microlepidoptera Report 2011 this species was classified as common.